With around 30 years’ experience, CIP has an in-depth understanding of the UK and global print market, coupled with design and procurement expertise. Our services are designed to benefit small, medium or large enterprises and the public sector, with measurable results being achieved each time. The company was started in November 2011 by Clive Gotch who was formerly a Business Development Director with an international Print Management company. 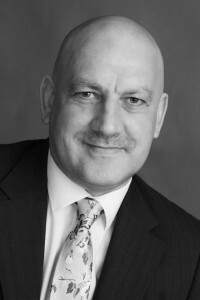 Clive has over 30 years’ experience of managing and developing international print, print management, outsourcing and BPO businesses, from start-ups to businesses delivering revenues of over £200m. Prior to this, Clive held board level and executive general management positions with leading services organisations including AccessPlus and Office2Office PLC. Clive has supported companies in both the private [UK and International] and public sector with the supply of integrated technology and BPO solutions delivering significant and measurable cost and process savings. Following its inception at the end of 2011, CIP won £15million worth of business in fifteen months for its clients. ©2019 Consultants in Print Ltd. All rights reserved.